This holiday season, celebrate in the charming, picturesque towns of the Texas Hill Country with these rural and rare holiday trails. See the best of holiday lights with these three road trip routes on the Regional Christmas Lighting Trail. What You&apos;ll See: Head northwest to Marble Falls, where the Walkway of Lights features more than a million dazzling lights on 230 sculptures. Then, continue to Burnet&apos;s historic town square for more lights and unique shopping and dining. What You&apos;ll See: Stroll through the lights in Bindseil Park in Blanco, then continue sightseeing in Wimberley, where a walking trail traverses eight acres of lighted displays. End the trip with Christmas on Mercer in Dripping Springs, featuring a charming downtown setting dripping in lights. What You&apos;ll See: Start at Johnson City to see the Annual Lights Spectacular, then continue to Fredericksburg for the LBJ Tree and antique shops, before continuing on to see Kerrville&apos;s downtown lights and nativity scene. See the neighborhoods aglow in Boerne or spend some time strolling the quaint shops, before finishing the trip in Bandera, where more than 100 Christmas trees illuminate the park. Here&apos;s a holiday tradition worth toasting with a trip to wine country. Texas Hill Country wineries will be decked out with lights and holiday cheer, so pick up your Tasting Passport to start your wine tasting adventure on the Christmas Wine Trail December 4-20. Each passport entitles the holder to a full complimentary tasting at more than 40 participating wineries (up to four per day), as well as special discounts on bottle purchases. - One collectible ornament to be picked up at a winery of your choice. 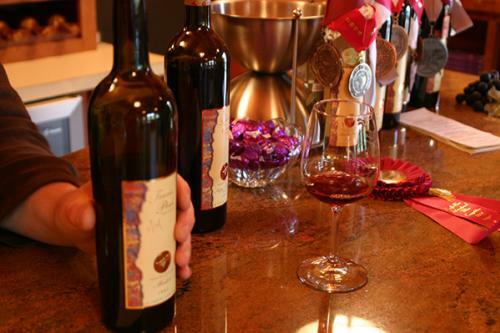 - A Tasting Passport to be stamped at each winery visited. - Discount of 15 percent on three-bottle purchases from each winery. - Discount of 50 percent on winery ornaments where available.